Spring is here. 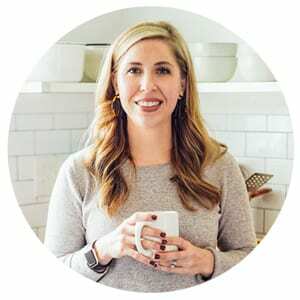 And just like that my Pinterest feed has switched from hearty bread recipes and warm soups to all things lemonade and salads. Even I have jumped on the spring frenzy with homemade spring cleaning recipes and naturally-dyed Easter eggs. I totally understand the eagerness to fully embrace spring. It’s been a long, long winter. One that seemed to never end. I’m not complaining, I actually enjoyed the cold winter. After all, it meant being able to wear my snazzy boots more than just one day. But, I’ll admit, by mid-March I was done. There’s only so much cold this warm-blooded, palm-tree loving gal can take. 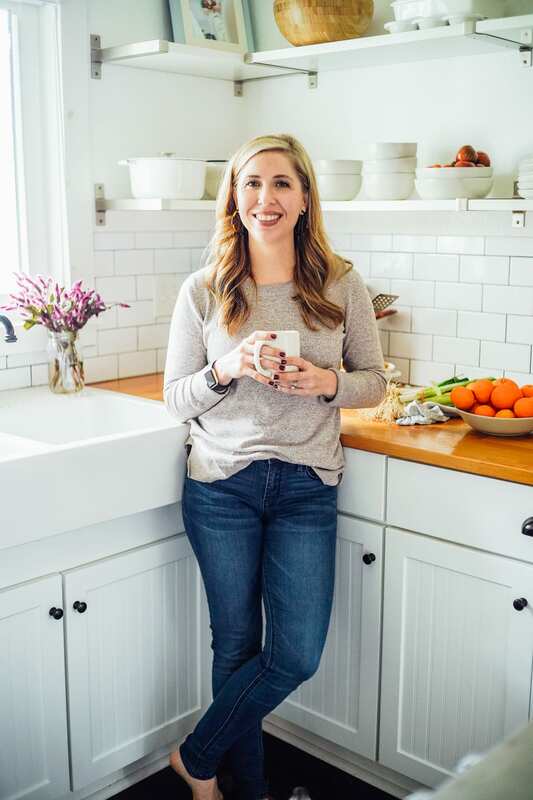 While I’m thrilled to finally be out of sweaters and boots, embracing all things pastel and spring-like, I must admit I’m going to miss big, warm bowls of soup. The goodness of steam rising from my favorite bowls, lining the table with freshly baked bread or homemade biscuits. It’s what I live for every winter. Even more so than that pair of once-a-year-boots. 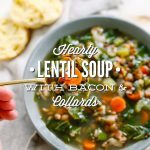 Before I fully kiss winter good-bye, I felt I owed myself and this very long season of cold one last soup recipe. Let’s think of this as a final farewell to winter and the favorite bowls I’m stashing away until the crisp, cold air returns. No rush though, winter, I can gladly wait another six months to see you again. This recipe is the perfect good-bye to this chilly season we leave behind. 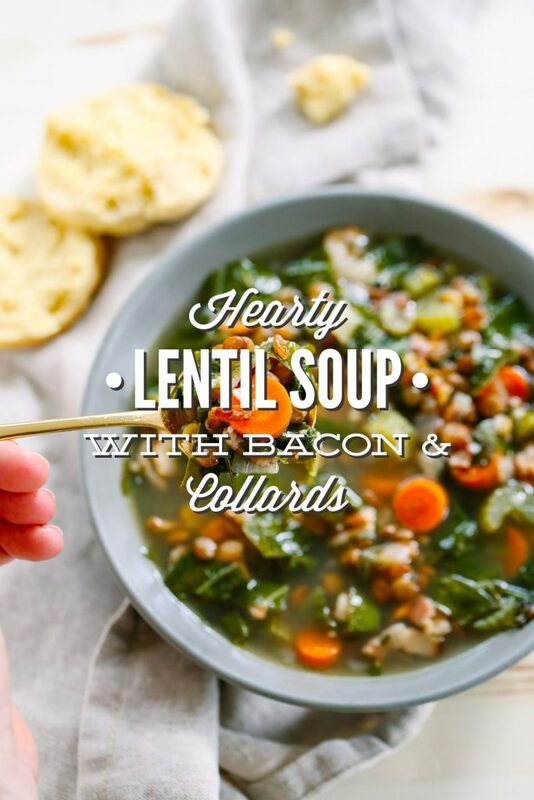 Made with bacon, hearty french lentils, and collard greens. 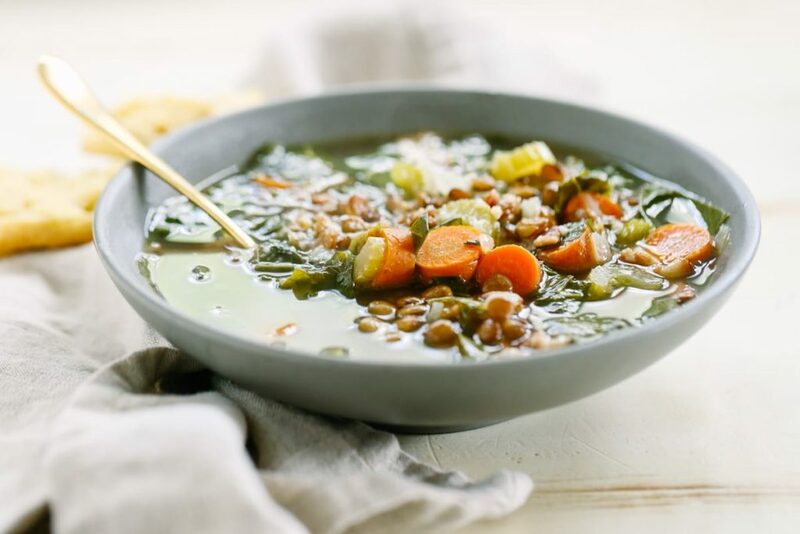 A soup that embraces all the goodness that winter brings and soon will leave behind. 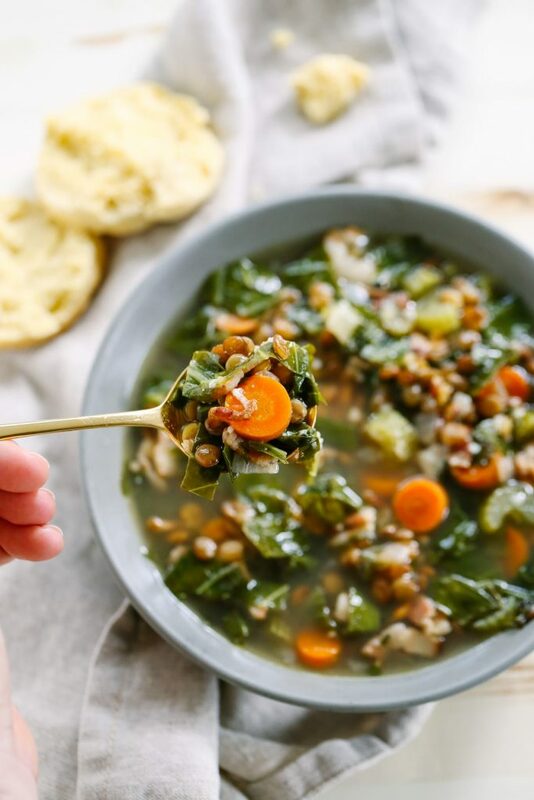 Served with warm crusty bread for dipping and a big salad, this soup is the perfect hearty, healthy, and warming dinner. In a large dutch oven/soup pot (I use this one), add the chopped bacon pieces. 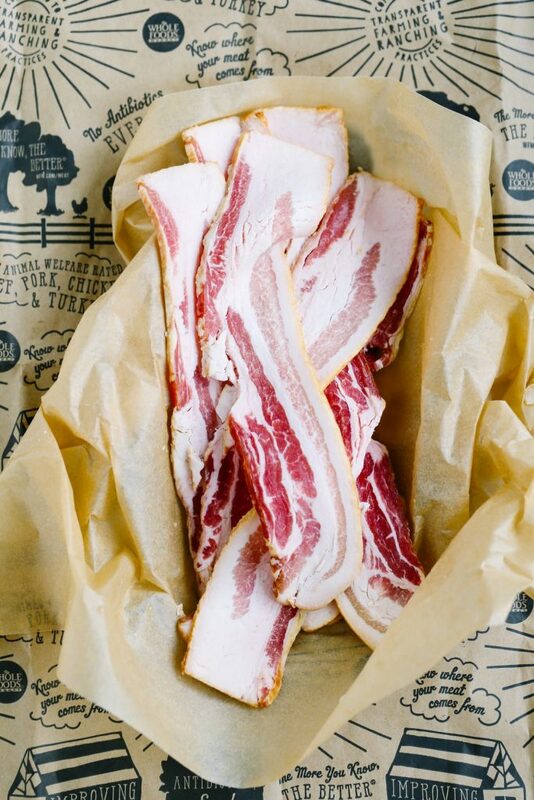 Cook bacon for 5 minutes, over medium to high heat. Add in the celery, carrots, and onions. Cook until the onions are translucent, about 4-5 minutes. Add the minced garlic, cook until fragrant (about a minute). 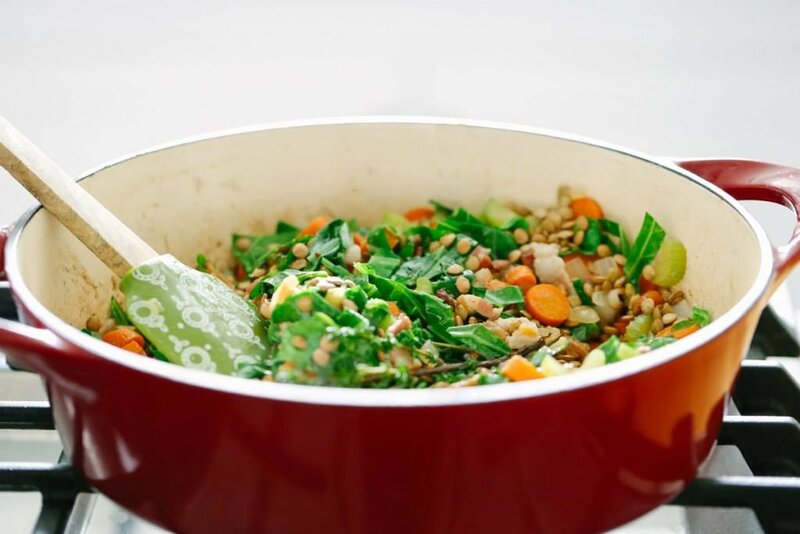 Add the whole thyme sprigs, lentils, and thinly sliced collards, to the pot. Stir to combine ingredients. Make a well in the center of the pot and pour in 1 cup of the liquid (broth or water), gently scrap the bottom the pot to remove little bacon bits and flavor. Pour in the remaining broth/water and stir to combine. Bring the soup to a boil, then reduce to simmer. Simmer for about an hour until the lentils are soft and tender. Add in the mustard (to taste, 1-2 tablespoons), salt, and apple cider vinegar. 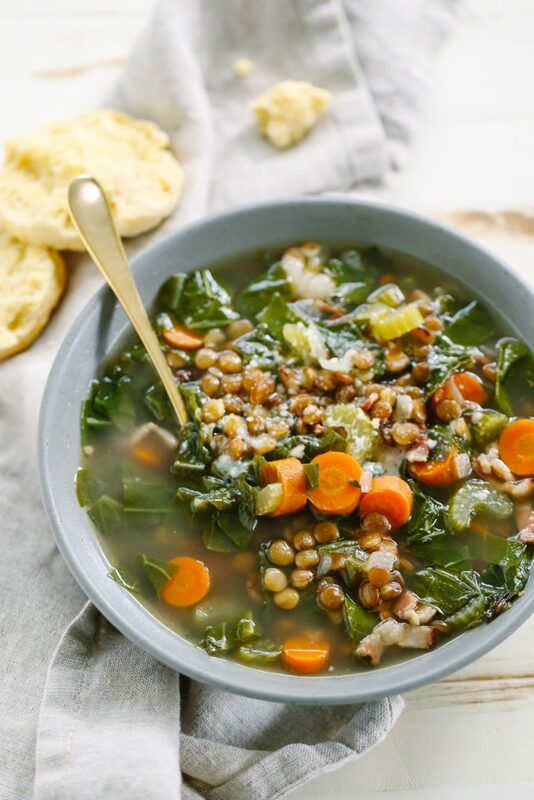 Want to make a freezer-to-crock-pot version of this soup? Awesome! Follow this tutorial. Had all ingredients except collards-substituted kale-soup is simmering “as we speak!” Soup for supper! Yay! Enjoy, Catherine. One of my favorite soups :).